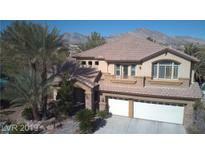 Below you can view all the homes for sale in the Canyon Oaks subdivision located in Las Vegas Nevada. 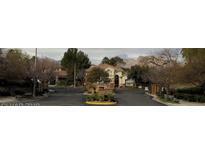 Listings in Canyon Oaks are updated daily from data we receive from the Las Vegas multiple listing service. To learn more about any of these homes or to receive custom notifications when a new property is listed for sale in Canyon Oaks, give us a call at 702-930-8014. Great rm-up.Plantation shutters & skylight.Next to THE TRAILS. MLS#2077846. Limestone Investments LLC. This Home Is In A Gated Community. Comparative Market Analysis Availale. MLS#2077716. BHHS Nevada Properties. Spectacular backyard, heated pool, privacy, perfect for entertaining. MLS#2075141. Luxury Homes of Las Vegas. The house has lots of upgrades - all tile floors, shutters throughout, all three bathrooms are tastefully remodeled, nice open kitchen with stainless steel appliances and granite countertops, Beautifully remodeled backyard,heated pebble pool, and privacy. MLS#2069296. BHHS Nevada Properties. The Upgrades include: Crown molding through out home **granite kitchen counter tops**custom kitchen cabinets**huge walk in pantry** over sized laundry room***Custom tiled bathrooms**two way gas fireplace in master bedroom**3 car garage** MLS#2049159. Coldwell Banker Premier. Home Is A True Gem!don'T Miss Out! Tour This Home Today! ! MLS#1992604. eXp Realty.